On September 8, 2017, Robertson Law earned a hard-fought victory in the King County Superior Court reversing a DUI conviction. The client will now have a new trial where he can present important evidence to defend himself against the State's DUI charge. The case involved the use of “character” evidence at trial. A colleague of Robertson Law represented a defendant whose breath test value was inconsistent with other evidence in the case. That defense attorney developed a trial theory that the breath test results were inaccurate. The prosecutor, worried that the jury might be swayed by the theory, argued that our colleague's client must have a “high tolerance” to alcohol to explain the distinction. To refute this argument, the defense attorney wanted to introduce evidence of the defendant's character trait for infrequent drinking and having a low tolerance for alcohol. The trial court rejected the defense request, and the defendant was convicted. That defendant turned to Robertson Law for representation on the appeal. Character evidence can be relevant to show that a person who exhibits a particular character trait would be less likely to commit the crime charged. It can be particularly relevant when the prosecutor “opens the door” to evidence by suggesting the defendant lacks the character trait or has an opposing or contradictory trait. Here, attorney Ryan Robertson argued that when the judge refused to permit the client to introduce character evidence, it violated the client's constitutional right to a fair trial and to present a defense. The appellate court agreed. 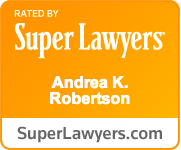 If you have questions about a criminal appeal, please contact the attorneys at Robertson Law.